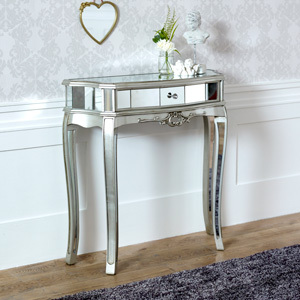 Mirrored Chest of Drawers - Tiffany Range DAMAGED SECOND 1047 The Tiffany Range has a classic vintage design. 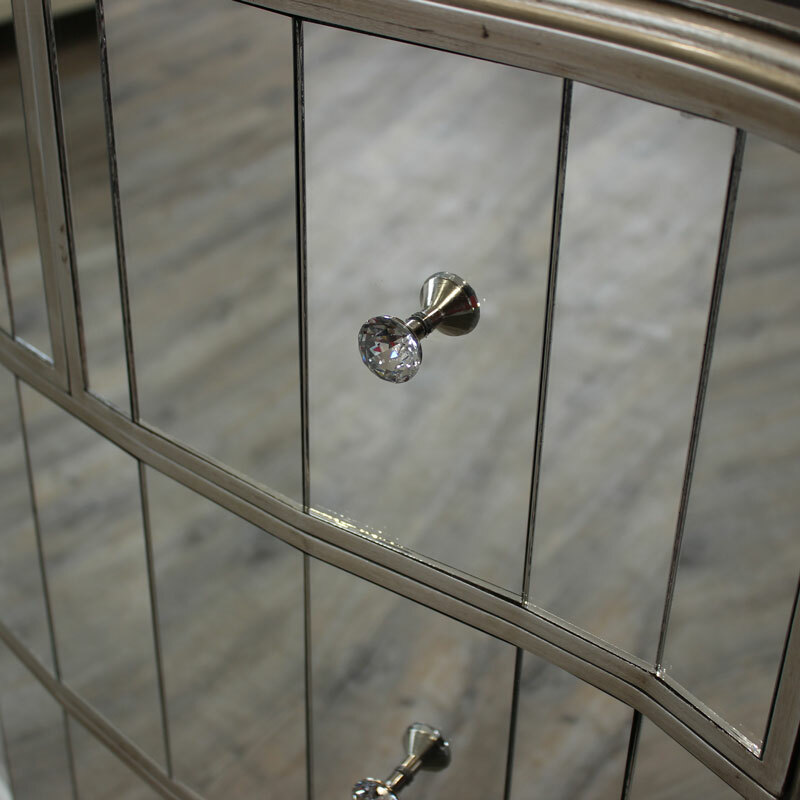 Each piece has a silver painted finish, bevelled mirrored panelling and luxurious crystal handles. 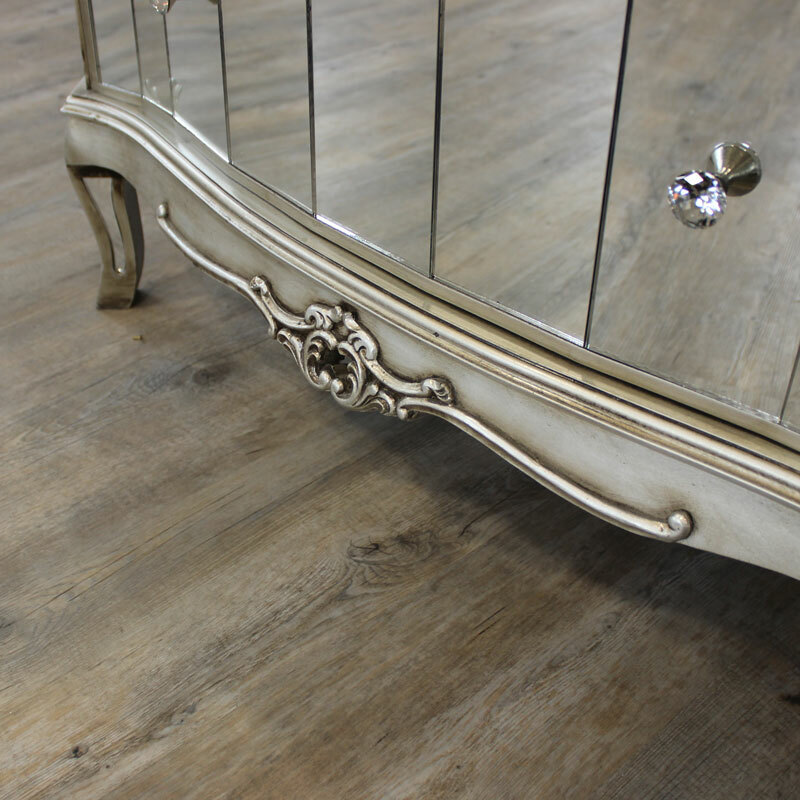 Items in this range are designed for bedroom, living room, dining room and hallway use. The Tiffany Range has a classic vintage design. 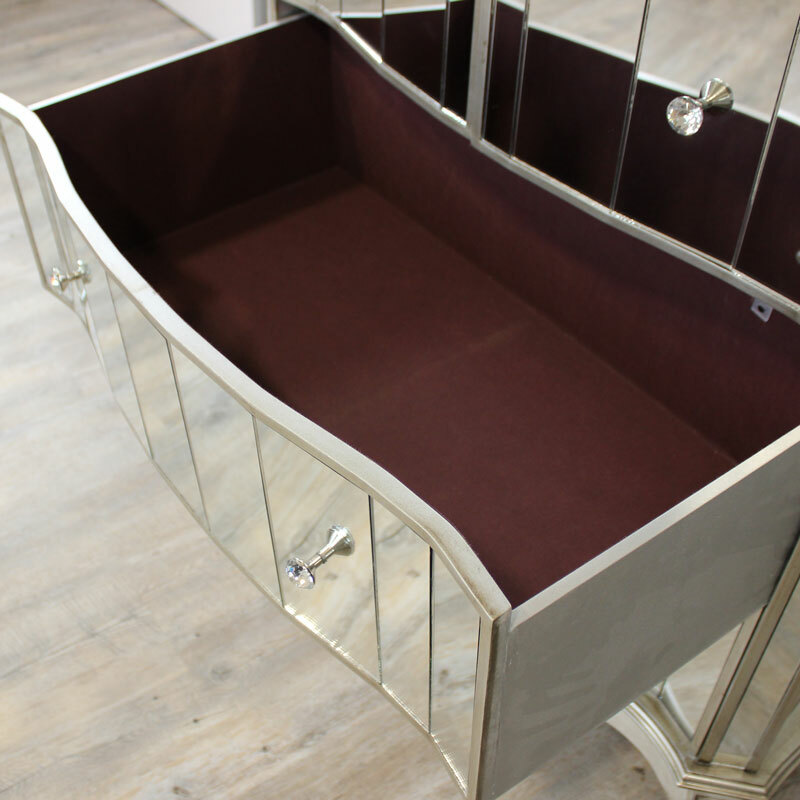 Each piece has a silver painted finish, bevelled mirrored panelling and luxurious crystal handles. 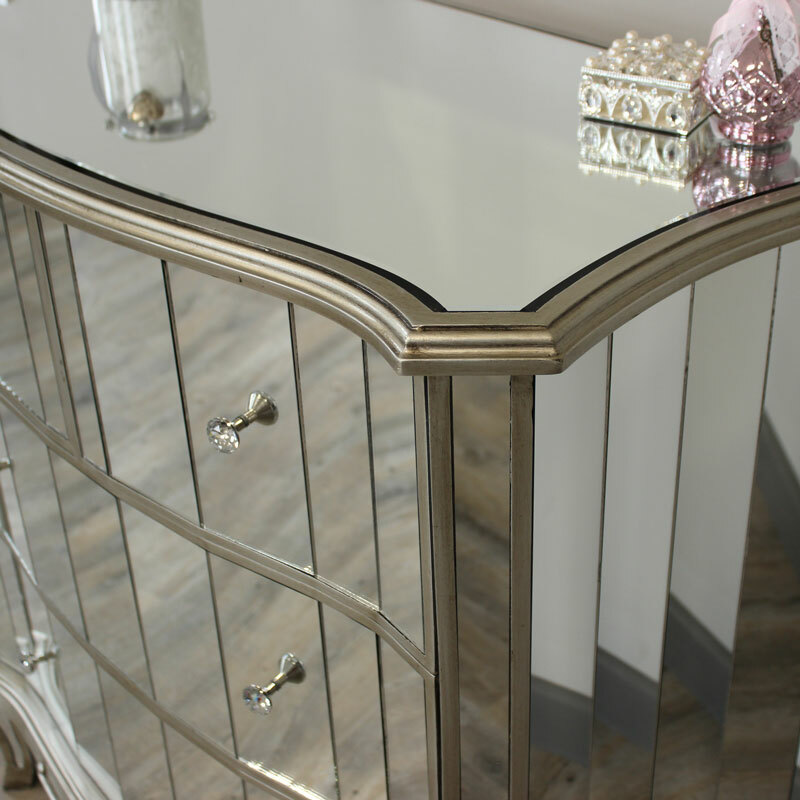 Items in this range are designed for bedroom, living room, dining room and hallway use. 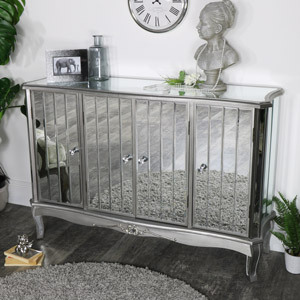 From the New Paris range, this silver 4 drawer Chest is made with a wooden frame and mirrored surfaces. 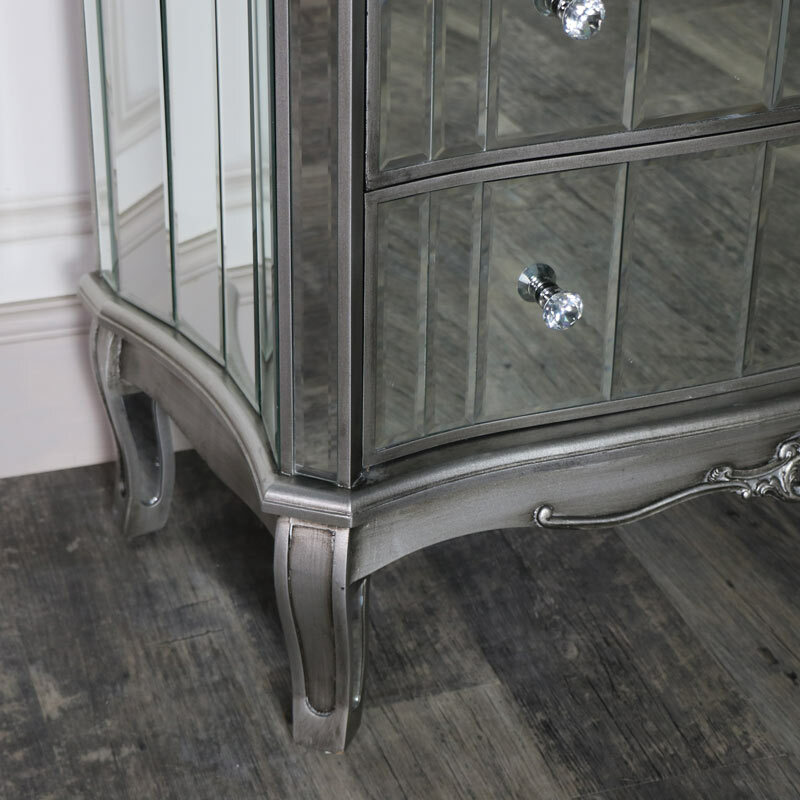 The edges and legs are curved, so it has a great mix of classic French and modern looks but would also suit a Venetian styled room. 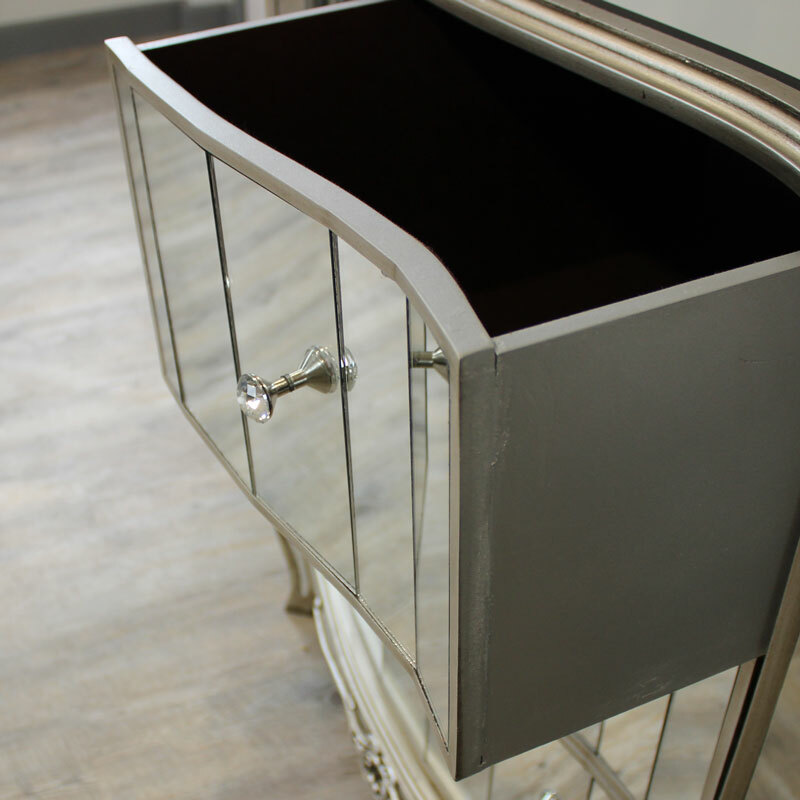 It has a fascia with a carved centrepiece underneath the 2 full width drawers. The top 2 drawers are half width and all are deep. We also have other items in this range that will fully complement each other. Its dimensions are 92cm x 92cm x 43cm (width x height x depth). This wardrobe is fully assembled. 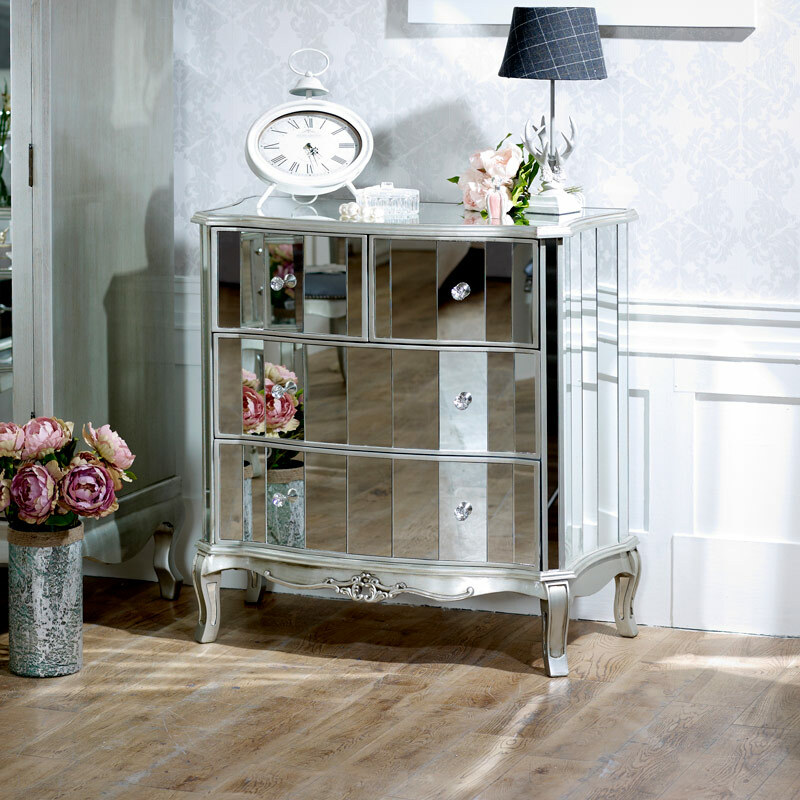 The main coulor of this wardrobe is silver. This is made from fir wood frame with a beech veneer top, finished off with glass. 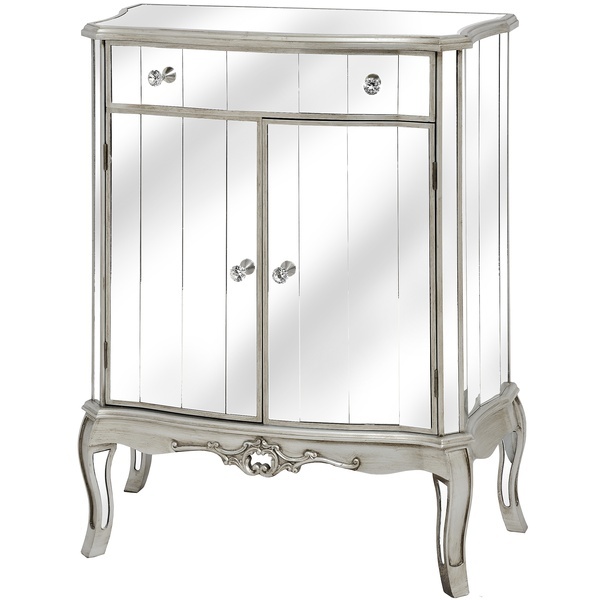 we do have a dressing table, stool, mirror, display cabinets, sideboards, bookcases, tv cabinet, coffee table, half moon table. 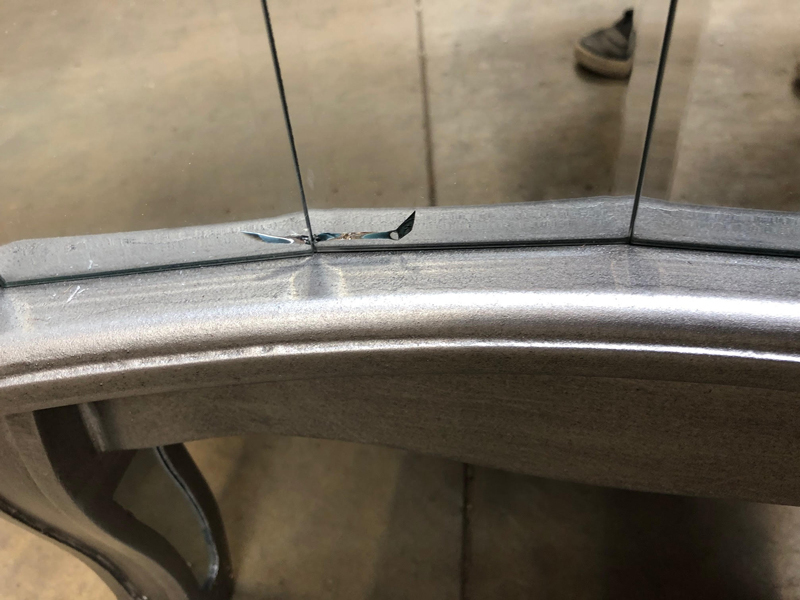 this is a piece of furniture, so may take 3-12 working days, express delivery is available at an extra charge.